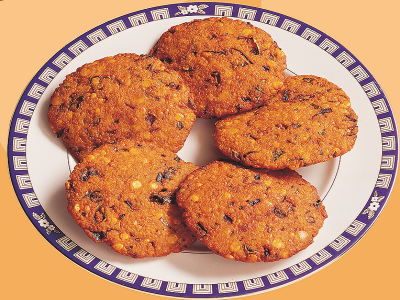 Another delicious and popular tea time snack is the Saro Parippuvada. It packs enough crunchy taste to the munch and is mildly spicy.Saro Parippuvada is a connoisseur favorite and is prepared using Bengal gram made into paste and deep fried. It is the deep brown color that shows that Saro Paippuvadas are ready to be consumed. Fried in the highest quality oil and packed to stay fresh, here is a perfect snack for the evening for friends and family.